A lignite coal fired boiler is an industrial or utility boiler that generates thermal energy by burning lignite coal fired that is blown into the firebox. Lignite coal fired boiler as one type of coal fired boiler and have same features as coal fired boiler. Wood and other vegetable matter decayed and transformed under pressure millions of years ago to form coal. Lignite has a Lower Rank in the coalification process, meaning this more recent than bituminous and anthracite coals. Lignite is the lower rank of coal. Vast reserves are available in many parts of the world. The special characteristics of lignite make it different from other coals. Read about this in this article. 1.The output capacity is sufficient and continuous:Because of adopting the high efficiency heat transmits spiral gas tube, so the real output capacity of boiler is 10%-15% higher than rated. And either output capacity or thermal efficiency will not low down after running for a while. 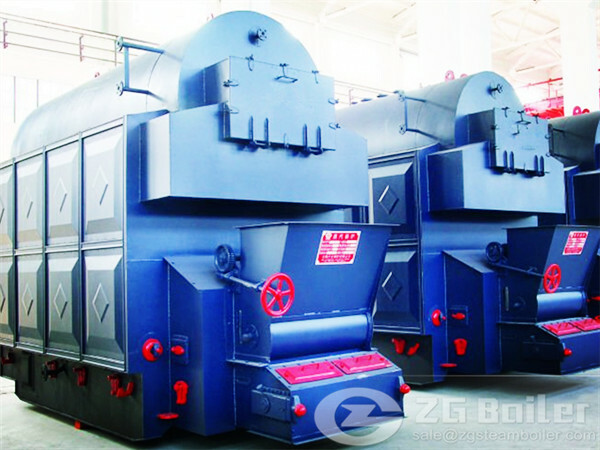 2.Small size, less investment:The height of the coal fired steam boiler is less than other coal fired horizontal steam boiler which has the same capacity. So steam boiler room will spend much less money. 3.No special protection when power off:The hot water is mixed cycle and the water capacity is large, so the special protection is no need for damage caused by vaporization when power off. We offer a complete range of lignite coal fired boilers for industrial market. As a single source supplier of lignite coal fired boilers since 1945, ZG always provides the optimize proposals and optimal equipment for the clients with the suitable price.